I’ve not written a race report in a while having been out of action with an injury. 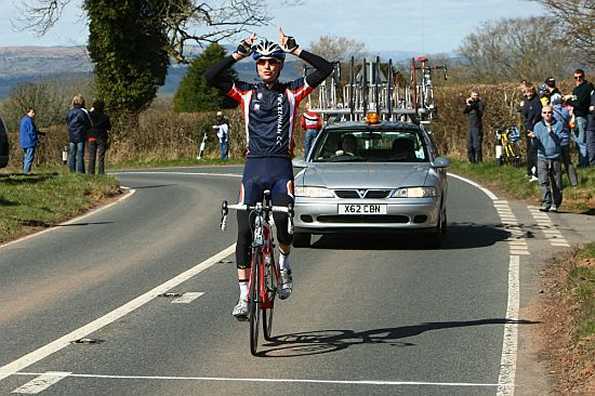 The Hillingdon race last week was also curtailed and abandoned following a nasty crash. Just two TCC representatives this week, the other being Sandy King racing in the E/1/2/3s. To the start - With memories of the crash last week, my objective for the race was, as always, to keep out of trouble by staying near the front of the group. Unfortunately this appeared to be the plan of most other riders and I found myself continually circulating to be back and working hard to move forward. I must learn how to hold a forward position without dropping back and without working too much on the front. There were a number of break attempts but, strangely, the main group was in no mood to start chasing and inevitably everything came back together after a while. 3 laps to go – Usually at this point in the race the pace picks up and the group tends to string out, making it easy to either hold position or move up whist heading down the back straight. On this occasion, I found myself in a relatively good position, around 8th, as the 3 laps board was shown. I just planned to hold my position as the laps counted down. Suddenly, as we rounded the bend into the back straight, the peleton slowed due to some riders at the very front of the group that had started to jockey for position. This caused the bunch behind to fan across the width of the track and then the fateful moment – was he pushed or did he fall, only the culprit will ever know – I was shunted elbow to elbow and forced off the track and onto the grass and, although I managed to stay upright, by the time I’d got back on the tarmac the group had a 50 metre advantage. With less than 3 laps to recover, for pride if nothing else, I set off in a desperate attempt to get back in touch; I didn’t want to be seen as ride who had just been dropped. At one point I closed the gap to about 5 metres but could not maintain the pace as the main group prepared for the sprint finish. I went for the big sprint finish, for the sake of training, but it’s no fun when you’re alone. The E/1/2/3 race finished shortly after was a bunch sprint finish. Although Sandy King did not contest the sprint, he was placed in the sharp end of the bunch and in the top 20 at least. Result to be confirmed.